Monday, October 6th- To celebrate National Noodle Day, Mac & Cheese Fest is pleased to share the inaugural Mac & Cheese Fest held Saturday, October 4 at the UIC Forum was a smashing success with over 2,000 guests in attendance. Kitty O’Sheas took home the Golden Noodle with their dish: Chicago Mix Mac & Cheese Wisconsin cheddar mac, short rib, corn bread, Tabasco onions, salted caramel drizzle. Event owners & producers: Cece Gonzales, Melinda Joseph and Ozzie Meza will be donating $10,000 to Ronald McDonald House Charities® of Chicagoland & Northwest Indiana, the selected event charity beneficiary in addition to the raffle they hosted on-site during the event. Mac & Cheese Fest was a celebration of the dish! Each restaurant featured a mind-blowing variety of macaroni and cheese. 50 restaurants competed for the Golden Noodle award based on; taste, texture and creativity judged by the below noteworthy foodies in addition to the people’s choice. Each guest received a voting ballot upon arriving and votes were tallied live during the event. The date for 2015 will be announced this fall on the event websitewww.macandcheesechicago.com with the release of the photos and video from the event. RMHC-CNI is an independent not-for-profit 501(c)(3) organization whose mission is to care for families of children with complex medical needs by providing a ‘home away from home’ while their child is being treated in the hospital. Every night, up to 140 families heal together because of the comfort, compassion and community at four area Ronald McDonald Houses® and Ronald McDonald Family Room®. Annually 40,000 nights are provided where RMHC-CNI families are able to stay close to their child, helping them to heal faster and saving them over $7 million in hotel costs. We are located near Advocate Children’s Hospital, Loyola University Medical Center, University of Chicago Comer Children’s Hospital, Ann & Robert H. Lurie Children’s Hospital of Chicago,Edward Hospital in Naperville and the Cadence Health – Central DuPage Hospital (CDH) Campus in Winfield which will open in 2015. For more information visit www.RonaldHouseChicago.org. Stay connected – Facebook, Twitter,YouTube, Instagram. Cece & Melinda with Raymi Productions are pleased to announce the first annual Mac & Cheese Fest to be held on Saturday, October 4 at the UIC Forum from 12-3 p.m. A portion of the proceeds will be donated to Ronald McDonald House Charities® of Chicagoland & Northwest Indiana. century, recipes that span continents to entice aficionados galore, the Festival is a time to explore every variety of this beloved food,” says Cece Gonzales, President of Cece & Melinda of Raymi Productions. The event will feature a mind-blowing variety of macaroni and cheese entrees, appetizers and sides served with craft beers, wine and soft drinks. Mac & Cheese Fest will feature approximately 50 Chicago chefs featuring their versions of Mac and Cheese, inspired from cultures, family traditions and their restaurant’smenu. Chefs will be asked to use any kind of pasta with any type of cheese as the primary ingredients. One lucky chef, recognized by attendees and a panel of foodies, will take home “The Golden Noodle.” Some of the dishes to be served include; Pulled Pork Mac & Cheese, Buffalo Chicken Mac & Cheese, White Cheddar Mac & Cheese, Chipotle Truffle Chorizo Mac & Cheese to name a few! Tickets will be available through TicketMaster September 1 for $50. Entry includes all you can taste from the participating restaurants and 5 drink tickets for craft beer, red and white wines and spirits. For more information, visit www.macandcheesechicago.com or contactMelinda@raymiproductions.com. For sponsorship opportunities, contact Cece Gonzales atcece@raymiproductions.com. On Saturday, May 3, Chicago q will host their second annual Derby party, Derby q, from 2 p.m. to 6 p.m. Guests can view the races inside Chicago q’s main dining room or outside on the tented, heated patio. Tickets are available for $42, and include a Southern-style, all-you-can-eat buffet and a drink, and can be reserved by calling 312.642.1160. A portion of the ticket fee will be donated to Ronald McDonald House® near Lurie Children’s. Enjoy an all-you-can-eat buffet, prepared by Chicago q Chef/Partner Lee Ann Whippen. The buffet will include Chicago q traditional dishes along with Kentucky Derby themed dishes such as ham and biscuits with q mustard sauce, Southern style roasted corn pudding, Kentucky Derby pie with pecans and chocolate, and much more. After the first drink on the house, Chicago q’s full cash bar will be available as well as Kentucky Derby themed specials including a Makers Mark Mint Julep for $7. Guests can also enjoy “The Derby” a specialty drink, where a portion of this drink’s proceeds will be donated to Ronald McDonald House®. Throughout the day, there will be numerous contests including the best Derby Hat Contest, Best Dressed Gentlemen Contest and many more ways to win some fabulous prizes. Guests will be able to bet on derby horses for a chance to win Blue Door Farm Stand retail, Chicago q gift cards and bounce backs, house made sauces, rubs, and pickles from Chicago q, Maker’s Mark goodies, and more! WHEN: Saturday, May 3, 2 p.m. – 6 p.m.
Sunday – Thursday: 11:00 a.m. – 10:30 p.m.
Friday & Saturday: 11:00 a.m. – 2:00 a.m.
Chicago q is the modern, urban, BBq experience. Artisanal house-made rubs, southernquality service and a modern ambiance combine to offer guests the greatest BBq in Chicago. Great BBq is a passion, not a pastime. Before the sun rises, Chicago q chefs are smoking their signature, highest quality, Kobe brisket in their wood burning smokers to get the tender, made-from-scratch, deliciousness. Lee Ann is also President and Owner of Wood Chick’s BBQ Restaurants & Catering Company, Lead Pitmaster for Wood Chick’s BBQ Competition Cooking Team, Member Kansas City Barbecue Society, KCBS Certified BBQ Judge, former Newspaper Food Columnist, 15 years in Hotel Catering Management and more than 17 years cooking competitive BBQ. RMHC-CNI is an independent not-for-profit 501(c)(3) organization whose mission is to care for families of children with complex medical needs by providing a ‘home away from home’ while their child is being treated in the hospital. Every night, up to 140 families heal together because of the comfort, compassion and community at four area Ronald McDonald Houses® and Ronald McDonald Family Room®. Annually 40,000 nights are provided where RMHC-CNI families are able to stay close to their child, helping them to heal faster and saving them over $7 million in hotel costs. We are located near Advocate Children’s Hospital, Loyola University Medical Center, University of Chicago Comer Children’s Hospital, Ann & Robert H. Lurie Children’s Hospital of Chicago, Edward Hospital in Naperville and the Cadence Health – Central DuPage Hospital (CDH) Campus in Winfield which will open in 2015. For more information visit www.RonaldHouseChicago.org. Chicago q is proud to announce the newest addition to their brunch selection, a Bloody Mary bar. For $10, guests can build their own Bloody utilizing the ingredients featured. Featured ingredients include: Fresh Made Tomato Juice, Tomatillo Juice, Pickled Okra, Pickled Green Beans, Olives, Banana Peppers, Green Peppers, Horseradish, Steak Sauce, Tabasco, Mozzarella Cheese, Cauliflower, Pepperoni, Pickles, Celery, Carrots, Lime, Lemon, Bacon, Black Pepper, Worcestershire Sauce, BBq Sauce and Pig Powder. The Bloody Mary bar is available during brunch on Saturdays and Sundays from 11 a.m. to 3 p.m.
Chicago q is the modern, urban BBq experience. Artisanal house-made rubs, southern quality service and a modern ambiance combine to offer guests the greatest BBq in Chicago. Great BBq is a passion, not a pastime. Before the sun rises, Chicago q chefs are smoking their signature, highest quality Kobe brisket in their wood burning smokers to get the tender, made-from-scratch deliciousness. Lee Ann Whippen is no stranger when it comes to barbecue and touts a myriad of awards and accolades. Competing against 29 Competition teams from around the country, Lee Ann finished first in the Brisket category at the Kansas City Barbecue Society’s (KCBS) Sam’s Club National BBQ Tour Regional Competition in Maryland this year. She is also the winner of the pulled pork competition on “Throwdown! with Bobby Flay” in 2008. She is also a member of the Kansas City Barbecue Society, KCBS Certified BBQ Judge, a former newspaper Food Columnist, and has spent 16 years in Hotel Catering Management and more than 17 years cooking competitive BBQ. Last year, American Junkie’s St. Patrick’s Day party was one of the best this city has ever seen. This year, Chicagoans are invited to celebrate once again. With close proximity to the river, the River North bar will open at 8 a.m. and serve up Irish classics such as Green Beers, Jameson, Guinness and Irish Car Bombs. Upstairs will be open from 1 to 6 p.m. then reopen again at 10 p.m. HOURS: Monday- Tuesday: 4 p.m.- 2 a.m. | Wednesday: 11 a.m. – 2 a.m. | Thursday-Friday: 11 a.m.- 2 a.m. | Saturday: 11 a.m.- 3 a.m. | Sunday: 11:00 a.m.- 2 a.m.
Saturday, March 15 – Sunday, March 16: Cash-and-carry Sandwiches available starting at 10 a.m.
For hungry bar-hoppers and parade-goers on Division Street and in the Gold Coast, Chicago q will offer cash-and-carry Pulled Pork Sandwiches for $8 each on their patio beginning at 10 a.m. on Saturday, March 15 and Sunday, March 16. Chicago q’s Pulled Pork Sandwiches feature Chef/Partner Lee Ann Whippen’s house-smoked pork shoulder on a fresh pretzel roll. Each will come with guests’ choice of sauce including the Original Mild (a tomato-based sauce that is both rich and sweet), the Spicy Sauce (a tomato-based Virginia state champion sauce that is bold in flavor with light spice), South Carolina Mustard Sauce (a tangy and sweet sauce with a little heat), and Eastern North Carolina Vinegar (a classic Southern vinegar sauce with a kick). Bottled beverages will be available for $3. Additionally, Chicago q will offer a Corned Beef special during lunch and dinner Friday, March 14 through Monday, March 17. Whippen’s Kobe corned beef is served with Napa cabbage, fingerling potatoes and baby carrots. It is available for $17 during lunch and $22 during dinner. HOURS: Sunday – Thursday: 11 a.m. – 10:30 p.m. | Friday & Saturday: 11 a.m. – 2 a.m. Celebrate St. Patrick’s Day all month long at Clark Street Dog and Bar. The Lakeview favorite invites revelers to indulge in a variety of holiday themed food and drink specials, most of which will be available throughout the entire month of March. Featured drink specials include $3 Green Beer Bud Light drafts*; $5 Jameson shots; $5 Guinness cans; $7 Irish Car Bombs and an $8 Irish Breakfast of Guinness, vodka, Bloody Mary Mix and bitters served in a 16 oz. glass. Clark Street Dog will also be offering two new menu items for March, the St Paddy Burger, a perfectly seasoned fresh 1/4lb all beef burger with dark mustard, sliced onions, 1/3lb sliced corned beef, sauerkraut, melted Swiss cheese, served on a grilled bun for $7.69 and a Corned Beef Sandwich, 5oz of corned beef served with dark mustard on grilled rye bread for $5.19. HOURS: Monday – Thursday: 9 – 3 a.m. | Friday – Sunday: 10 – 4 a.m.
Saturday, March 15 Board: 3 p.m., Cruise: 3:30 p.m. – 5:30 p.m. The vibrant Spirit of Chicago invites Chicagoans to grab their green-clad friends to join them for a St. Patrick’s Day celebration on the water on Saturday, March 15. Guests will have the luck of the Irish with a delicious lunch buffet, green beers, amazing views, endless dancing and interactive DJ entertainment. Reservations are required and can be made by calling (866) 273-2649 or by visitingwww.spiritofchicago.com. Seadog Cruises along the Chicago River will be available, weather permitting. Nouveau Tavern will open early on March 15 to celebrate St. Patrick’s Day. Chef Norman Hargrove and his team will offer Irish favorites such as Corned Beef and Cabbage with a Nouveau twist. See www.nouveautavern.com for further details. HOURS: Monday – Wednesday: 5:00 p.m. – 12:00 a.m. | Thursday: 5:00 p.m. – 2:00 a.m. | Friday 11:00 a.m. – 2:00 a.m. | Saturday: 11:00 a.m. – 3:00 a.m. | Sunday: 11:00 a.m. – 10:00 p.m. Rack House Kitchen and Tavern invites guests to avoid the congestion downtown and celebrate St. Patrick’s Day in the suburbs from March 14 to March 17. Rack House will have drink specials and a corn beef and cabbage special available throughout the weekend. Drink specials include $3 green Miller Lites, $5 Guinness, $5 Jameson, and $6 Irish Car Bombs. HOURS: Monday- Friday: 11 a.m.- 12 a.m. | Saturday- Sunday: 10:30 a.m.- 12.a.m. This Easter season, Chicago restaurants will offer a variety of specials, including seafood and vegetarian options available on Fridays during Lent. This year, Lent begins on Wednesday, March 5 and runs through Easter on Sunday, April 20.
a.m. | Saturday: 11 a.m.- 3 a.m. | Sunday: 11:00 a.m.- 12 a.m.
Monday – Friday: 7 a.m. – 8 p.m. | Saturday – Sunday: 8 a.m. – 5 p.m. HOURS: Sunday – Saturday: 6 a.m. – 10:30 p.m. HOURS: Monday – Friday: 7 a.m. – 2 a.m. | Saturday & Sunday: 10 a.m. – 2 a.m. HOURS: Sunday – Saturday: 6:30 a.m. – 2 a.m.
5:00 p.m. – 10:00 p.m.
4:00 p.m. – 9:00 p.m. HOURS: Sunday – Thursday: 12 p.m. – 12 a.m. | Friday & Saturday: 12 p.m. – 2 a.m. HOURS: Monday – Thursday: 6 a.m. – 11 a.m. | Friday & Saturday: 6 a.m. – 12 a.m.
Peruvian style and served with plantain chips and homemade crackers. BAR HOURS: Sunday 11:00 a.m. – 12 a.m. | Monday – Thursday 11:30 a.m. – 12 a.m. | Friday 11:30 a.m.
- 1 a.m. | Saturday 11:00 a.m. – 1 a.m. RESTAURANT HOURS: Lunch: Monday – Friday 11:30 a.m. – 3 p.m. | Brunch: Saturday – Sunday 11:00 a.m.
- 3 p.m. | Dinner: Sunday – Thursday 3 p.m. – 10 p.m. | Friday – Saturday 3 p.m. – 11 p.m. In celebration of the newly created Angel’s Envy q Bourbon, Chicago q will host a special launch party with the iconic bourbon distillery on Thursday, March 6 at 6:30 p.m. For $40 per person, guests can sample a selection of Angel’s Envy cocktails with representatives from the label on hand for questions. The q Bourbon is a special blend, hand selected from a variety of barrels to the taste specifications and quality that best complimented Chicago q’s barbeque. This bourbon features a more residual maple syrup flavor as it is produced in oak barrels giving it a bit of sweetness. In addition, the blend features corn creating a sweet, more approachable bourbon for those who are novices in drinking this alcohol. The all-inclusive ticket price also includes passed house bacon cheddar hush puppies and pork wings, a large Chicago q-style buffet and homemade cookies. The buffet will feature pulled pork and chicken sliders, fried green tomatoes, St. Louis Ribs and Bruleed Macaroni and Cheese. There will also be a raffle with opportunities to win Chicago q and Angel’s Envy collateral. Friday, February 14 through Saturday, Feburary 15 5 – 10 p.m. This Valentine’s Day, Brasserie by LM invites guests to celebrate with a special menu. The three-course prix fixe menu will be $35 per person. With wine pairings, the menu will be $55 per person. Highlights include a Butter Squash Veloute with brioche and creme fraiche or Duck Confit Lyonnaise Salad with frisee and farmed poached egg to start, Braised 5 Hours Short Rib Bordelaise with potato puree, rapini, and cote du Rhone reduction or Pan Roasted Lake Trout with local glazed carrots and a ginger mussel emulsion. As a sweet finish, guests can choose between Flourless Chocolate Cake or Homemade Profiteroles to share. In addition, Brasserie by LM will allow guests to pre-order flowers to their table when they book their reservations. The restaurant will provide packaging to bring the flowers home. Options include:. Le Petit Bouquet, $49 – A sophisticated collection of roses and seasonal garden flowers in the guest’s choice of red or shades of pink, presented in a cube vase. Les Roses Classiques, $99- A grand presentation of a dozen long-stemmed roses, wrapped and finished with a hand-tied ribbon bow. Available in guest’s choice of red, blush pink, magenta, yellow, lavender. Chicago q offers diners special menu items created by Chef/Partner Lee Ann Whippen in celebration of Valentine’s Day. Reservations are recommended. Two Dry-Rubbed Wings, Two House Bacon Cheddar Hush Puppies, Two Fried Green Tomatoes and Two Shrimp and Grits. The festive Spirit of Chicago and luxurious Odyssey cruise ship will celebrate Valentine’s Day Weekend with amazing skyline views, romantic dinners on both Friday and Saturday, and plentiful brunches on Saturday. Onboard the Spirit of Chicago, guests will enjoy a lunch or dinner buffet, DJ entertainment and dancing. The buffet will include a selection of salads, entrees, sides and desserts. Guests can take their drinks topside and relax on Chicago’s largest outdoor patio deck or enjoy top 40’s hits. The Odyssey will offer live music and a seated dinner with three courses including Lola Rosa and Greens Salad, a Blue Crab and Corn Bisque, Filet Mignon and Pawns and a sweets selection for dinner. Aboard Odyssey’s lunch cruise, there will be a decadent brunch buffet and guests can enjoy an upscale DJ, dancing and amazing skyline views. All cruises include a complimentary champagne toast as well as a single rose per couple. All prices below are per person and exclude taxes and other fees. Board: 6:30 p.m., Cruise: 7 – 10 p.m.
Board: 6 p.m., Cruise: 7 – 10 p.m.
Reservations are required and can be made by calling (866) 305-2469 or by visiting www.odyssey.com. Board: 11:30 a.m., Cruise: 12 – 2 p.m.
RESERVE: Reservations are required and can be made by calling (866) 273-2649 or by visiting www.spiritofchicago.com. Board: 11:00 a.m., Cruise: 12 – 2 p.m.
RESERVE: Reservations are required and can be made by calling (866) 305-2469 or by visiting www.odyssey.com. Board: 3:00 p.m. Ceremonies Begin: 4:00 p.m. Reception: 4:30 – 10 p.m., Cruising: 7:00 – 9 p.m. Dockside: 9:00 – 10:00 p.m.
Entertainment Cruises and the Mystic Blue are excited to announce their Valentine’s Day Las Vegas-Themed Wedding Extravaganza on Friday, February 14. Beginning at 4 p.m., guests are invited on board to say “I do” with special 30-minute wedding ceremonies on the Mystic Blue. The ceremony includes hors d’oeuvres on the Escapade Deck to enjoy before and after the ceremony. Each ceremony will be on the Vista Deck of Mystic Blue and will have an aisle for the bride or groom to walk down along with seating for his or her friends and family. Entertainment Cruise’s wedding officiant, Elizabeth Anne Stewart will marry the couple. The bride or groom may select his or her own entrance song and following the ceremony, the couple will enjoy their first dance and a complimentary champagne toast. Please note all couples must provide their own marriage license. Following their ceremony, guests will enjoy a romantic 2-hour dinner cruise on Lake Michigan with gorgeous views of Lake Michigan. For this very special event, reservations are required and can be made by calling 888.333.9150 or by visitingwww.mysticbluecruises.com. HOURS: Monday – Thursday: 5 p.m. – 10 p.m. | Friday & Saturday: 5 p.m. – 11 p.m. | Sunday: 5 p.m. – 9 p.m. This Valentine’s Day, when dining at any Go Roma’s location, couples will receive a complimentary warm chocolate pudding cake with the purchase of two entrees. This delicious dessert comes with hot fudge and vanilla bean ice cream. Celebrate Valentine’s Day with Chef Macku Chan’s delicious “Be Mine” prix fixe menu, available at both Macku Sushi and Macku Signature. The seven course menu, which includes a sparkling wine aperitif and dessert, is offered during 3 seating times on Friday, February 14th. Seating times are: 5 p.m.-7 p.m.; 7:30 p.m.-9:30 p.m. and 10 p.m.-12 a.m. Diners who make their reservations by February 1 will be rewarded with 15% off the prix fixe menu, those who make reservations by February 13 will receive 10% off the prix fixe menu. * Additionally, guests who dine-in at either location before February 7 will have the opportunity to enter a contest to win a complimentary Valentine’s Day dinner at Macku Signature only. HOURS: Monday – Thursday: 5:00 p.m. – 10:00 p.m | Friday & Saturday: 5:00 p.m. – 11:00 p.m. | Sunday: 5:00 p.m. – 10:00 p.m. Celebrate Amore On Valentine’s Day With A Kiss! Nando Milano Trattoria invites Valentine’s Day guests to seal their meal with a kiss. On Friday, February 14, Nando Milano will offer a sweet end to the evening with a special promotion. Couples dining at Nando Milano can enjoy one of Chef Alessio Vullo’s decadent desserts for the price of a kiss! After savoring any number of the authentic house-made Italian dishes, share a kiss with your date Nando Milano Trattoria invites guests to “Dillo Con Un Bacio” or “Say It With A Kiss” on Valentine’s Day with a special promotion. On Friday, February 14, Nando Milano will offer a sweet end to the evening for couples dining at the Wicker Park establishment. After savoring a dinner of the authentic house-made Italian dishes, guests can enjoy one of Chef Alessio Vullo’s decadent desserts for the price of a kiss! HOURS: Monday – Thursday: 5:00 p.m. – 10:00 p.m | Friday & Saturday: 5:00 p.m. – 11:00 p.m. | Sunday: 4:00 p.m. – 9:00 p.m.
On Valentine’s Day, Nouveau Tavern will feature a special RESERVATION ONLY pre-fixe menu for two. The menu is comprised of three courses and served with a bottle of Champagne. Space is limited. Please visit Opentable to make a reservation. HOURS: Monday – Wednesday: 5:00 p.m. – 12:00 a.m. | Thursday – Friday: 5:00 p.m. – 2:00 a.m. | Saturday: 5:00 p.m. – 3:00 a.m. | Sunday: 10:00 a.m. – 10:00 p.m. This Valentine’s Day, Troquet Ravenswood invites Chicagoans to enjoy a romantic dinner with their 3-course prix fixe menu available on Friday, February 14 and Saturday, February 15. Menu highlights include Carrot and Ginger Bisque with saffron and creme fraiche or homemade chicken liver mousse to start, followed by Duck Confit Maison with roasted thyme fingerling potatoes and petite salade or Braised Lamb Shank aux Epices with spiced couscous and dried fruits. As a sweet finish, there will be Mousse au Chocolate to share or Apple Financier. In addition, Troquet Ravenswood will allow guests to pre-order flowers to their table when they book their reservations. The restaurant will provide packaging to bring the flowers home. Options include:. Friday, February 14 – Saturday, February 15 5 – 11 p.m. Perfect for date night, River North’s newest neighborhood French bar, Troquet offers a romantic evening this Valentine’s Day Weekend. Managing Chef Partner Martial Noguier and Chef de Cuisine Benoit Fliou will prepare a special three-course menu with choices including a Shrimp Bisque with saffron creme chantilly and crunchy pistachio, Avocado Salad with coriander leaves and basilica vinaigrette or Rosemary Scallops Brochette with truffle oil and vanilla seed to start, followed by Sea Bass with haricot vert and lemon and capers beurre blanc, Hand Cut Fettuccine with winter mushroom fricassee and Parmesan shaving or Duck Magret with celery root puree and a spicy red wine reduction. Desserts include a Thin French Caramelized Apple Tart to share with brown sugar and vanilla ice cream or Chocolate Lava Cake with bittersweet chocolate and Earl Grey custard sauce. In addition, Troquet River North will allow guests to pre-order flowers to their table when they book their reservations. The restaurant will provide packaging to bring the flowers home. Options include:. This Winter Olympics, American Junkie is the perfect place to cheer on Team USA. In honor of the events, Chicago’s favorite sports bar will be showing the games on all of their 34 televisions and offer Red, White and Blue Snow Cones for $10. Featuring Skyy Vodka, these snow cones will be pina colada, cherry and blue raspberry flavored. This Winter Olympics, Brasserie by LM will be cheering on Team France with $4 Kronenbourg 1664s, the French pale lager from Strasbourg. The special discount will be available throughout the entire Olympics. or Jim Beam. Friday and Saturday specials include $2 Bud Light bottles ($10 pitchers); $3.50 Goose Island drafts ($18 pitchers); $5 well drinks and $7 call drinks. On Sundays guests can enjoy $3 domestic bottles. 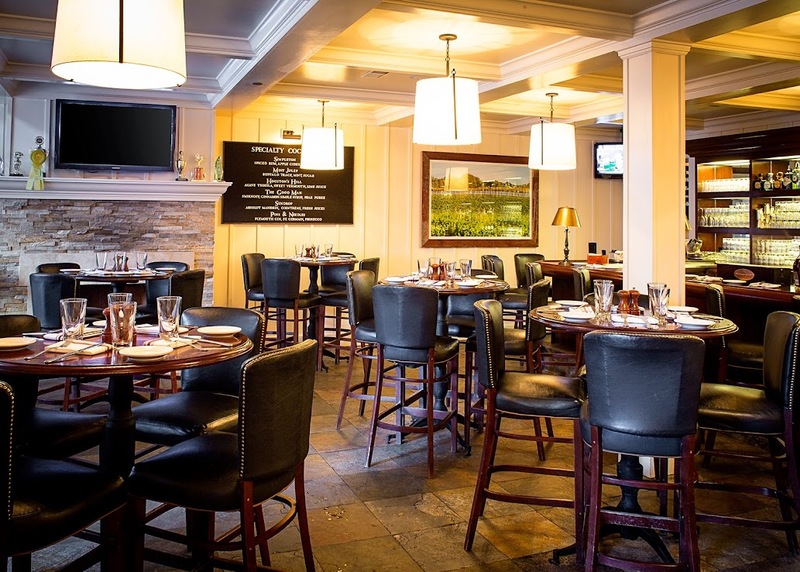 Cheer on Team Italy during the Sochi Winter Olympics at Fiorentino’s Cucina Italiana. The Lakeview favorite will be showing all the Olympics action in their bar. Stop in and enjoy weekly food and drink specials including half-priced bottles of wine on Mondays; half off Piatinni (Italian “tapas style” appetizers) on Tuesdays, an Industry Night on Wednesdays and the delicious Sunday Suppa available every Sunday evening for $23.95 per person. Diners can enjoy Fiorentino’s rustic Italian fare at home as well, the neighborhood gem delivers and is currently offering delivery deal for direct call-in orders or curbside pickup only. For $39 diners receive an Italian Family-Style Spaghetti Dinner including spaghetti, meatballs, salad and garlic bread (serves four). Call 773.244.3026 to order today. Catch all the Winter Olympics action at the Grid! Cheer on Team USA while enjoying all Russian Standard vodka cocktails, including the Grid’s Moscow Mule, for just $5. The River North sports bar also offers a number of weekday specials including buck a’ shuck oysters on Mondays, ½ off bottles of wine during Uncorked Wednesdays and $5 chef’s choice pizzas from 4-6 p.m. Monday-Friday. This Winter Olympics, cheer on your team at Macku Sushi and Macku Signature with some of Chef Macku Chan’s traditional maki and sashimi and signature nigiri with toppings. Every Monday-Thursday from 5-7 p.m. guests can stop by the sake bar at Macku Signature to enjoy the small plates happy hour menu and a signature cocktail. Diners will also be able to enjoy the weekday specials available at both locations including Maki Mondays featuring a special maki roll; a seasonal prix fixe menu for $45 on Tuesdays and $3 off premium sake flights on Thursdays. the French pale lager from Strasbourg. The special discount will be available throughout the entire Olympics. On Sunday, February 2, Chicagoans are invited to Brasserie by LM to cheer on their favorite football teams in Super Bowl XLVII. As a special, the French brasserie will offer their signature Brasserie Burger with aged cheddar, tomato and fries with a Kronenbourg 1664 for $15. Chicago q, the city’s hottest spot for upscale barbecue, invites all football fans, regardless of team allegiances, to indulge in delicious barbecue at their Super Bowl party from the talented hands of Chef/Partner Lee Ann Whippen. Whippen’s award-winning meats take the center stage in these packages, which feed eight to 10 people. Options include The Smoke House, $150, with pulled pork and pulled chicken, The Pitmaster, $200, with pulled pork, pulled chicken and Kobe sliced brisket, and The Grand Champion, $225, with St. Louis or Baby Back Ribs with a choice of two pulled meats. Each package comes with a choice of two sides and two sauces, honey butter cornbread and pickles. Mini and full-sized pretzel and brioche rolls are available for an additional cost. In addition, the restaurant will offer their special Football package, the Tailgater, $85, with Smoked Dry-Rubbed Wings, House Bacon Cheddar Hush Puppies, Pig Powder Chips with Habanero Ranch, Smoked Sausage, Pickles and Chili. The restaurant offers delivery options available through DiningIn.com, Grubhub and Seamless for a la carte and catering orders. Ordering is easy and requires 24 hours advance notice. For more information, contact Stephanie at 312.642.1160 or Stephanie@chicagoqrestaurant.com. Enjoy Super Bowl XLVIII at Clark Street Dog and Bar with $3 domestic bottles and Chicago-style favorites including the Signature Clark Street Dog and a selection of burgers including a ¼ lb hamburger and cheeseburger (available as a single or double) as well as a ⅓ lb turkey burger. Spectators at the bar will be able to enter a raffle (one ticket for each drink purchased) for an authentic 312 dart board. The winner, to be announced after the game, must be present to win. Clark Street Dog and Bar also offers a number of catering packages guaranteed to make any Super Bowl party a success. Customers can purchase a package featuring the signature Clark Street Dogs complete with a miniature hot dog cart. 40 Vienna Beef hot dogs are served alongside Rosen’s Hot Dog Buns, mustard, relish, onions, pickle spears and sport peppers. Other catering offerings include Italian Beef with gravy and sweet or hot peppers; Gyros with tomatoes, onions and tzatziki sauce; Italian Sausage with gravy and sweet or hot peppers and Clark Street Dog’s Famous Chicago Style Philly Steak with mushrooms, onions, yellow, red and green bell peppers and Swiss cheese. Clark Street Dog also offers full and half size catering orders of Caesar, Greek and Garden salads as well as a Baklava dessert tray. Customers also have the option of ordering a selection of beer, wine and liquor for delivery. Let Fiorentino’s Cucina Italiana make your Super Bowl party a success. The Lakeview favorite offers a full catering menu for events hosted off site. The extensive menu, which includes appetizers, salads, sides and delicious house specialties, has something for everyone. Featured dishes include Calamari Fritti, tender calamari lightly floured and crispy golden fried, served with a zesty cocktail sauce; Grilled Sweet Italian Sausage and Peppers; and a Homemade Meat Lasagna, layers of fresh pasta with meat, mushrooms, spinach and melted mozzarella. Dishes are available as a half pan (serves 8-10) or as a full pan (serves 10-20+). A variety of pizzas, available in white or wheat crust, a Go Roma Salad and a dessert tray. A selection of sandwiches including Classic Italian, Pesto Chicken and Tomato Mozzarella, with kettle-cooked chips. So Chicagoans can go ahead and be the “meatball fans” they want to be, Go Roma is offering 24 complimentary mini meatballs for all night and weekend orders over $100. As meatballs are made by hand, orders must be placed at least 24 hours in advance. Nights begin at 4 p.m. Monday through Friday and weekend starts at 4 p.m. on Fridays. Offer is valid through Super Bowl Sunday on February 2, 2014. Bruschetta will be available as a substitute upon request. Whether rooting for the American or National Football League, The Local Chicago has all fans covered with their delicious Tailgate Package, available for $45, for this year’s big game. In addition, The Local Chicago’s full menu is available for take out and catering. Other favorites available include Dr Pepper BBQ Baby Back Ribs and USDA Prime Meatloaf. To place an order, guests can contact The Local Chicago at 312.280.8887. Home delivery is also available. Photos available upon request. Step beyond traditional tailgating food and make your Super Bowl party one to remember with some of Chef Macku Chan’s delicious sushi. Many of the appetizers, sashimi and maki options from the dine-in menus are available for carry-out and delivery. Entree platters for 2, 4 or 6 featuring a selection of sashimi and maki can also be delivered directly to your door. Larger groups can pre order special sushi platters that are customizable from the à la carte menu. Call Macku Sushi at 773.880.8012 or Macku Signature at 773.360.8816 to place your order today. Enjoy Super Bowl Sunday at Nouveau Tavern with a special southern inspired Super Bowl menu. Nouveau will be serving a limited special menu consisting of a few Nouveau favorites as well as some additional big game day dishes. HOURS: Monday – Wednesday: 5:00 p.m. – 12:00 a.m. | Thursday: 5:00 p.m. – 2:00 a.m. | Friday 5:00 p.m.
- 2:00 a.m. | Saturday: 5:00 p.m. – 3:00 a.m. | Sunday: 11:00 a.m. – 10:00 p.m.
On Sunday, February 2, Chicagoans are invited to Troquet Ravenswood to cheer on their favorite football teams in Super Bowl XLVII. As a special, Ravenswood’s French neighborhood bar will offer their signature Troquet Burger, a 6 oz burger with arugula, brie, smoked onion and Troquet sauce and a Kronenbourg 1665 for $10. On Sunday, February 2, Chicagoans are invited to Troquet River North, the newest concept from LM Restaurant Group, to cheer on their favorite football teams in Super Bowl XLVII. As a special for the day, the neighborhood bar will offer the signature Troquet Burger with cornichons, shallot confit and Dijon mustard with a special cocktail, The Tackler, for $15. The Tackler was created by Beverage Director Maura Davis and features Maker’s Mark whisky. South Loop’s best party for the Big Game will be held at Weather Mark Tavern. Watch the game on two 120 inch HDTV’s! Specials at the nautically-themed restaurant and bar include $3 Bud Light and Miller Lite drafts, $4 Fireball and Jameson Shots and $5 Bloody Mary’s and Screwdrivers. The event will also feature a $10 buffet for the Super Bowl Chili Bar which includes a Build Your Own Chili, Nacho and Hot Dog station. Guests will receive free Super Bowl Squares for the chance to win a number of fantastic prizes. HOURS: Monday – Friday: 11:30 a.m. – 2 a.m. | Saturday: 10:30 a.m. – 3 a.m. | Sunday: 10:30 a.m. – 12 a.m.
Chicago | Glenview | Contact Us | Subscribe by Email • Copyright © 2019 — Blast Marketing & PR. All Rights Reserved.